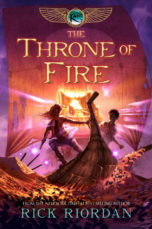 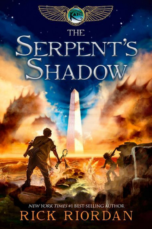 Fans of The Kane Chronicles series will adore this gorgeous primer on the people, places, gods, and creatures found in Rick Riordan’s #1 New York Times bestselling series. 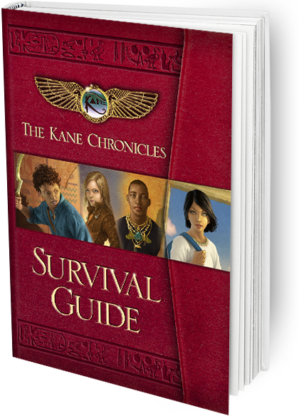 Boasting lenticulars, an easy-to-assemble trading card pyramid, and full-color diagrams and maps, this deluxe, lavishly illustrated guide teaches readers how to compile secret messages, read hieroglyphics, and recite ancient magic spells. 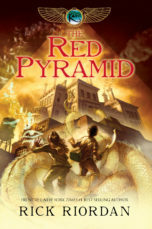 Featuring enough information and extras to satisfy avid followers and budding Egyptologists alike, this guide will cast a spell on readers of all ages.